A business development manager at marketing and sales solutions provider Quiet Storm is taking a career break to focus on her dream of competing in the 2020 Olympics Games, in Tokyo. Loughborough-based Amy Allcock, who joined the Quiet Storm team earlier this year, is currently ramping up her training ahead of the World Relay Championships, in Japan, in May, and the World Athletics Championships, in Doha, in September, with Olympics qualification in her sights beyond that. A speed-based runner, she is aiming to represent Team GB in Tokyo next year as part of the Women’s 4x400m Relay Team, but also individually over the 400m distance. In 2018, Amy was ranked as the UK’s third-fastest female over 400m, and 45th in the world. Her personal best stands at 51.36 seconds. She was part of the 4x400m teams that won bronze at the IAAF World Indoor Championships and the European Championships in 2018. She currently trains six-times-a-week, putting in up to four hours every day in all weathers, but is taking a short break from work in the run-up to this summer’s events to focus fully on achieving her Olympics dream. 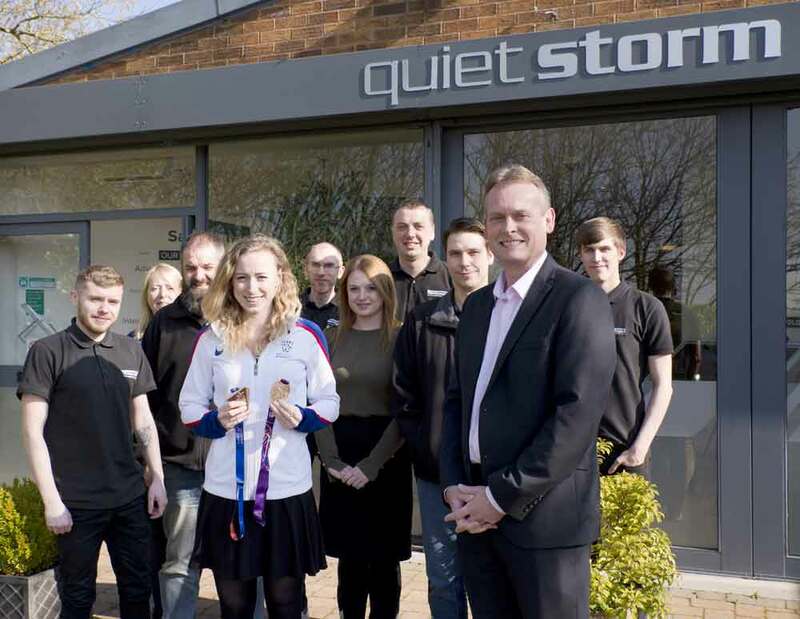 Amy is set re-join Coalville-based Quiet Storm at some point later in the year, to resume her role helping clients to achieve growth using bespoke digital marketing solutions. “Olympics qualifying starts in the next few months, so it’s all about getting experience in the right places. Competing in Japan and Doha over the summer will be great preparation for me, as I’ve only done European-based championships before. “The whole team is really proud of what Amy has achieved so far and we’re all rooting for her to do well in the run-up to the Olympics.